Commonwealth games starting from 23 July 2014 and will be played through 3rd august with 18 sports and many categories are lined up for 11 days of Commonwealth Games Glasgow. Athletes will be fighting for 261 gold medals up for grabs with 10 core and 7 new games in this years event. The game will be played in Glasgow, Scotland starting with a lush opening ceremony on 23rd July 2014. 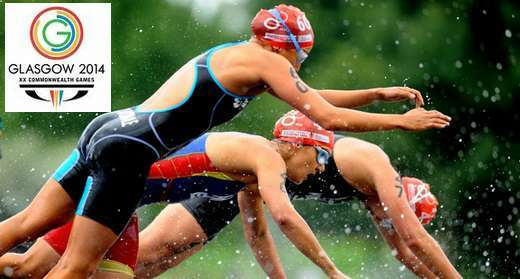 There wont be any event on the 23rd with only opening ceremony taking place but on 24th july we will have Swimming, Gymnastics, Cycling, Weightlifting and Judo events while Athletics events will begin on 27th July. How to watch Commonwealth Games 2014 Online ? Domestic rights for Commonwealther games are with BBC who will be broadcasting extensive coverage of 20th Commonwealth Games. BBC one and BBC three will be showing most of the events live in United Kingdom on TV plus the opening and closing ceremonies. You can also watch BBC’s Commonwealther Coverage live online through their official website or BBC player on mobiles. Ten Sports will be broadcasting Commonwealther Games in subcontinent countries and a few asian countaries. They will also show live streams through their website. There are plenty of other sites will be showing the games live and if you follow world cup at tsmplug you would know that we place live links to every major sport competition in the world on this site. the drill is simple, we place live stream links 1 to 2 hour before the start of every event. In case of Commonwealther games we will use this page and place live links before the start of first event every day starting from 24th july.